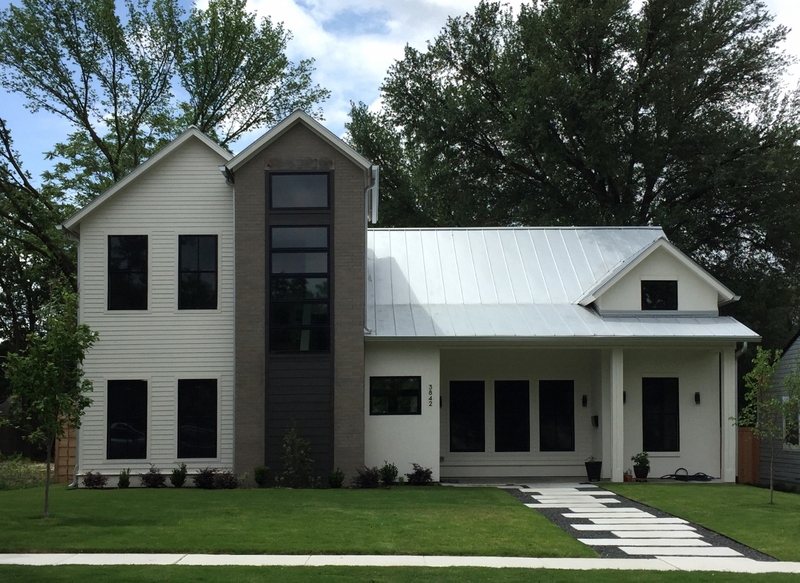 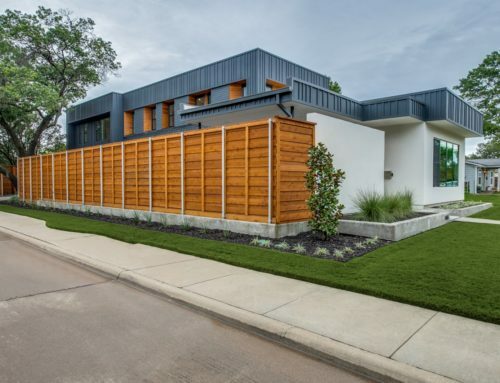 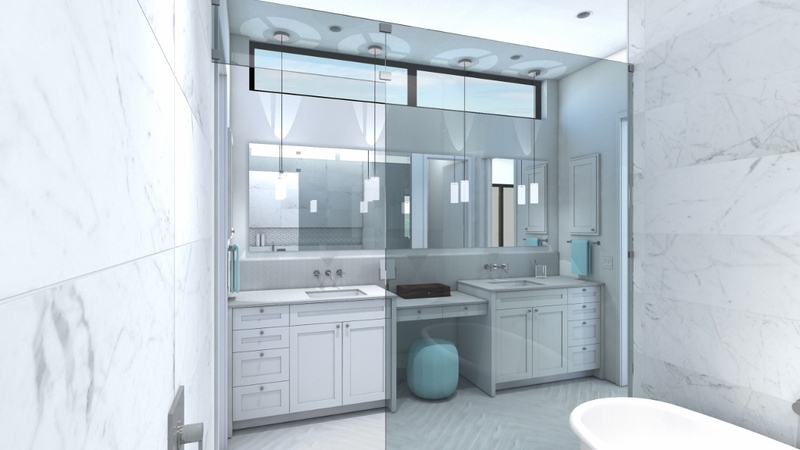 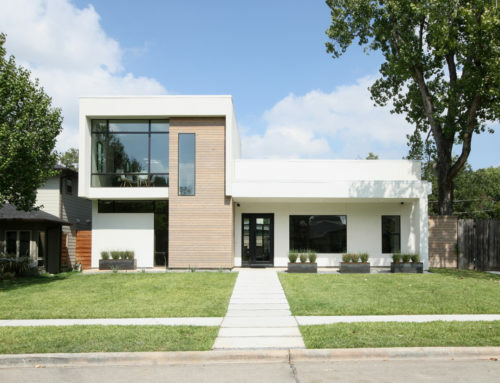 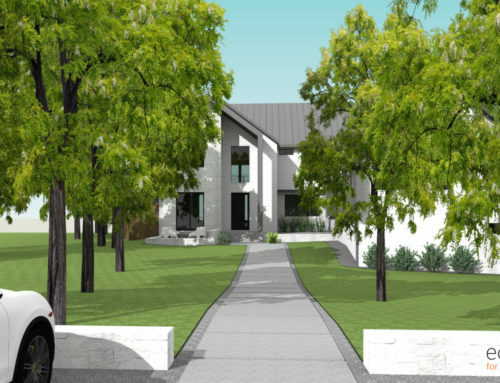 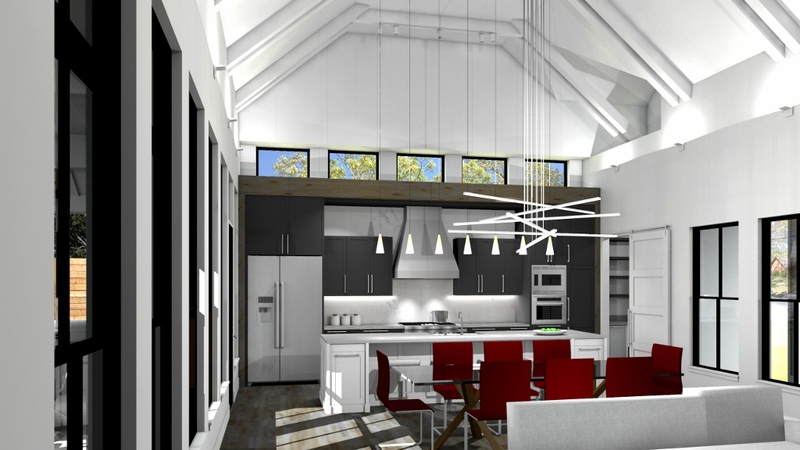 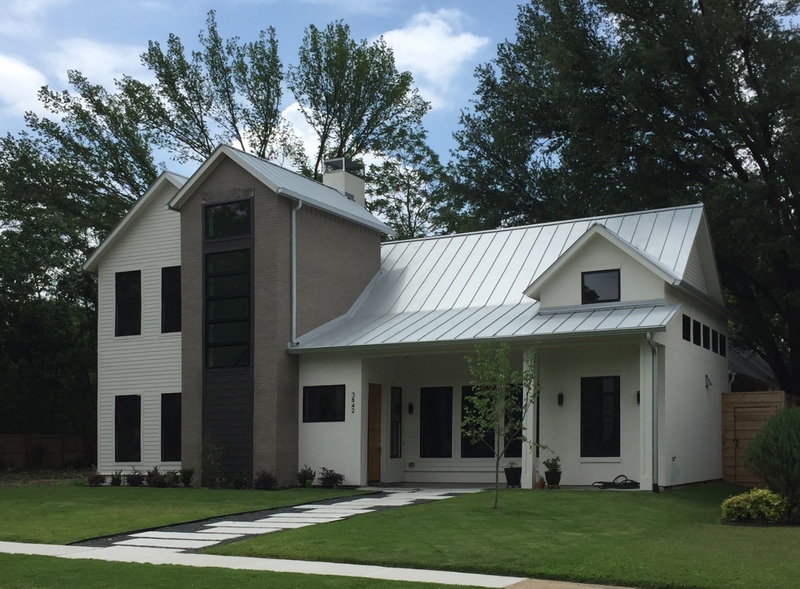 This modern farmhouse-style residence designed by Fifth Dimension Design is a blend of contemporary and prairie farmhouse-style architecture. 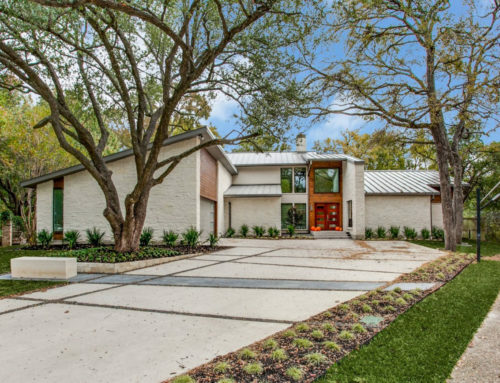 The home is loosely laid out in a “C” shape around the backyard with an expansive covered patio area. 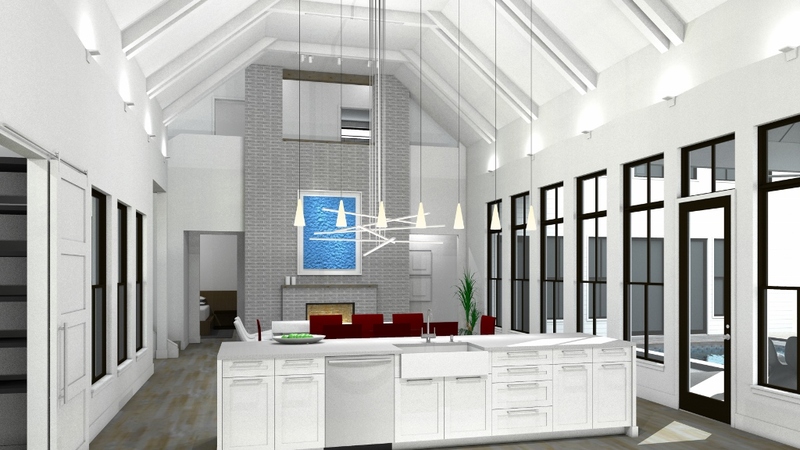 Large divided windows emphasize a connection to the outdoors from the main room – a 19′-4″ high crafted volume spanned by custom wood beams under which lie the main living room, dining area, and custom-equipped kitchen. 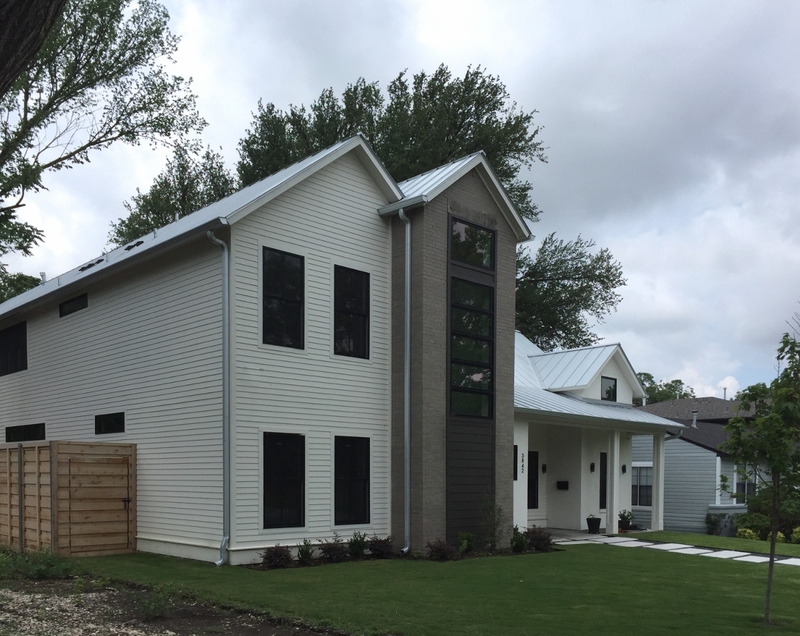 Two stories – living area, kitchen, and master suite and guest suite downstairs, two bedrooms and bath upstairs with a large game room/entertainment room. 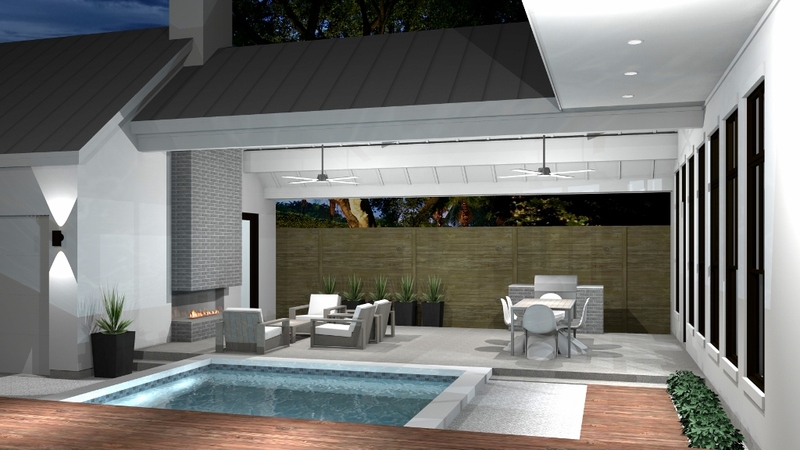 Outdoor covered patio with custom fireplace, and room for a swimming pool adjacent to a detached 2-car garage.